Check out this real world, sample bartender resume written by a 20-year bar veteran. 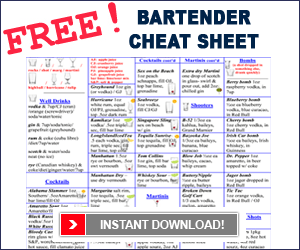 Use it as an example when creating your own bartending resume. Not sure what is appropriate Bar Interview Attire? Find out what to wear and what not to wear.